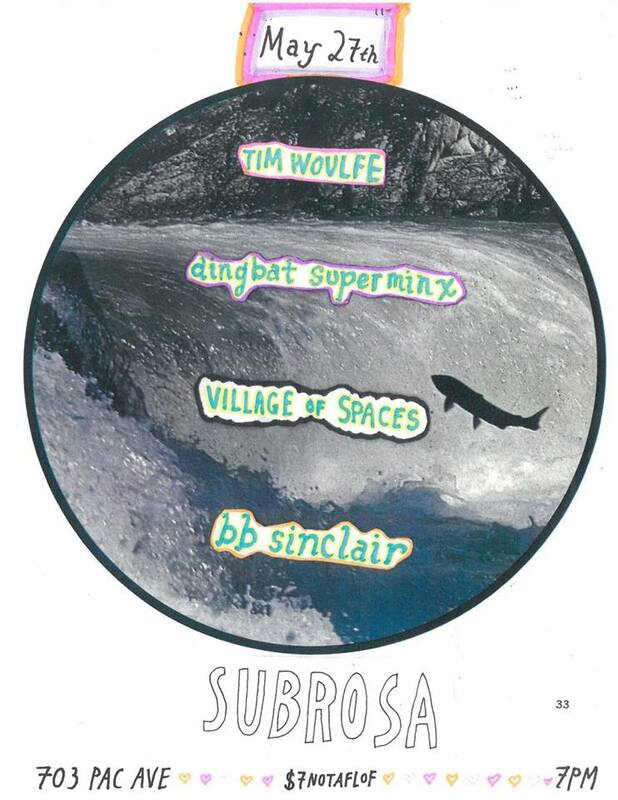 SubRosa - a community space: Sun: Herbal Self-Care for Trans Folks & A Show! 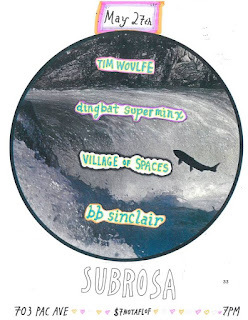 later // Fri: June 1 Art Opening // & More! 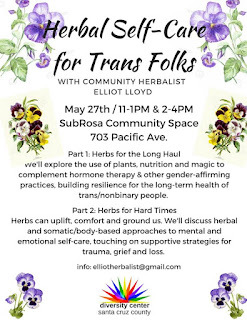 Sun: Herbal Self-Care for Trans Folks & A Show! later // Fri: June 1 Art Opening // & More! Using plants, nutrition and magic to support wellbeing and thriving for trans and non binary people. 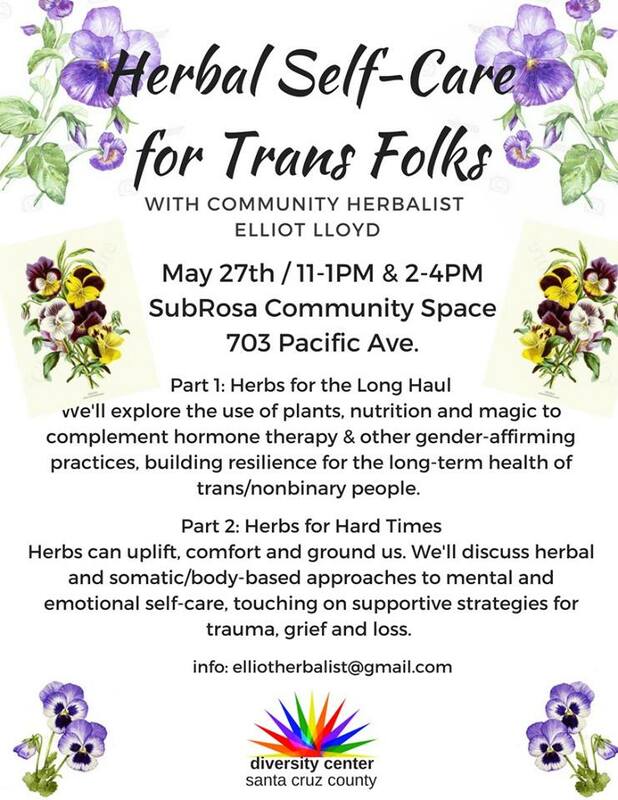 We'll learn about using herbs in combination with hormone therapy and gender-affirming practices, as well as what to avoid. We'll explore the esoteric uses of herbs for boundaries, protection and comfort. Emotional self-care for queer and trans people. We'll explore the use of herbs, supplements and mindfulness practices in times of worry, sadness and chronic stress, and touch on herbal support for trauma and loss. We'll put together self-care plans to remind ourselves what works for us when things get tough. This is your chance to see some fantastic Oakland artists' work on display in Santa Cruz! 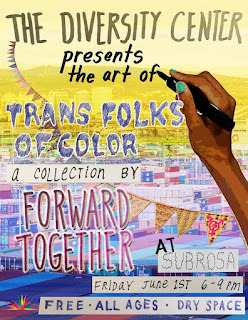 This art show is brought to you by the Diversity Center, but will take place at SubRosa Community Space. Forward Together is a nationwide organization that "focus(es) on changing the ground on which we fight for the rights, recognition and resources for all families and people." 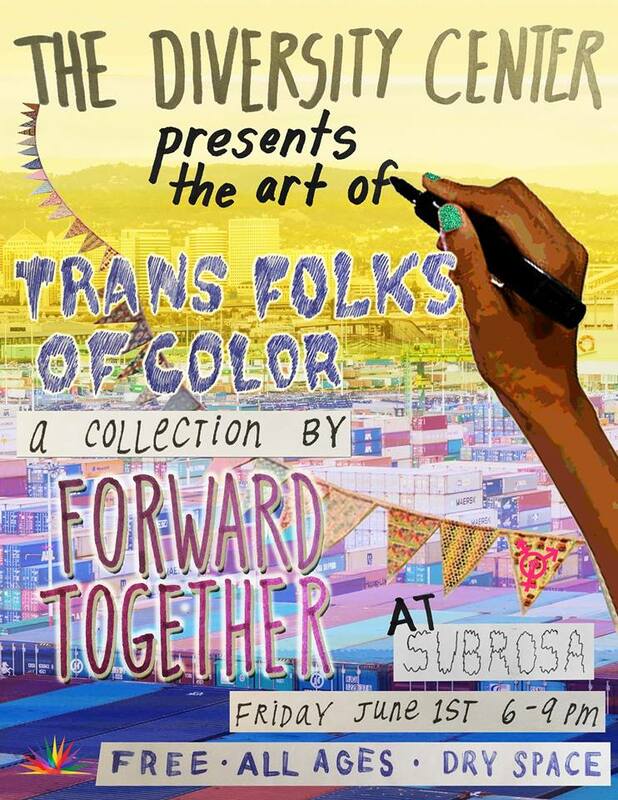 Part of their mission is to gather and promote artwork that challenges the status quo of power, and the collection they have put together for this show consists of artwork from Oakland based trans folks of color. It is a beautiful, daring, radically loving body of work to see! Come join us in celebrating the power of trans artists of color, to shake the foundations of injustice and to create something new. Feel free to check out Forward Together's website to learn more about their work: https://forwardtogether.org/. There will be free snacks!